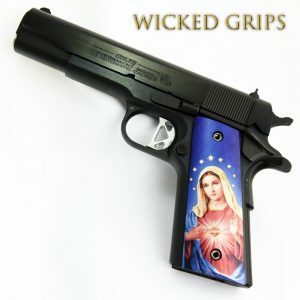 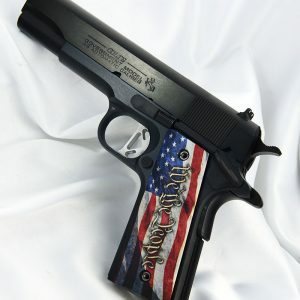 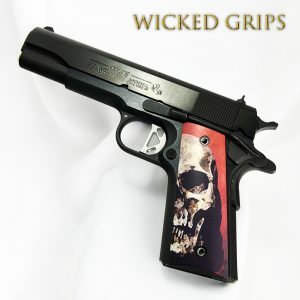 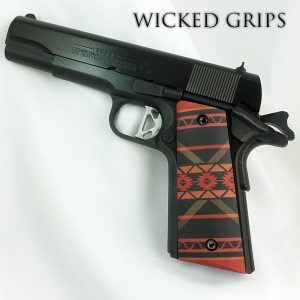 Our 1911 Full size THIN ART Grips category features aluminum handgun grips finished in our durable art. 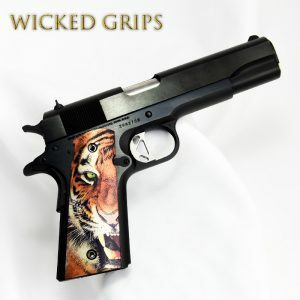 The ART gun grips are created with anodizing. 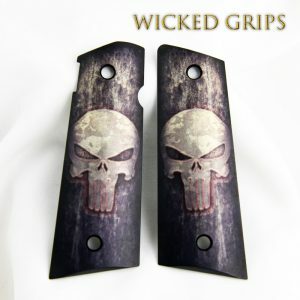 This process creates a highly durable finish, great for daily use. 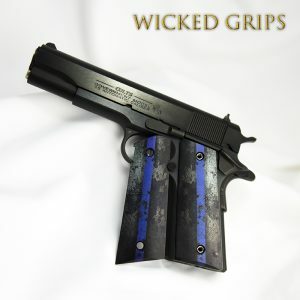 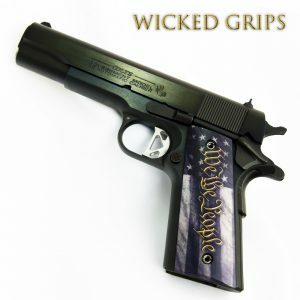 These are Full size 1911 government frame grips, with thin panels. Thin grips require THIN bushings and screws (see our 1911 Parts heading). 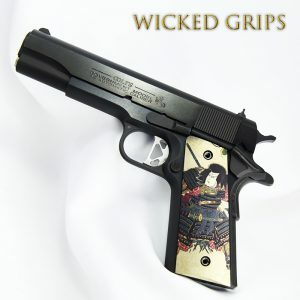 Fits the fullsize 5″ and commander 4″ framed guns from all the major makes. 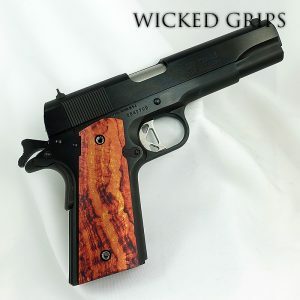 Companies like Colt, Kimber, Rock Island, Sig, Smith & Wesson, Springfield Armory, Remington, Ruger, Wilson, Dan Wesson, Nighthawk, Les Baer, and some Para Ordnance plus many more. 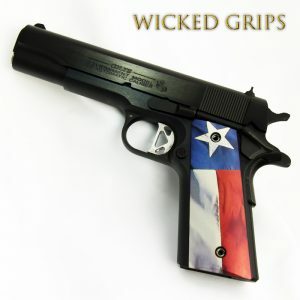 If you are unsure what fit needs you have, feel free to contact us and we will assist you in finding the right grip set! 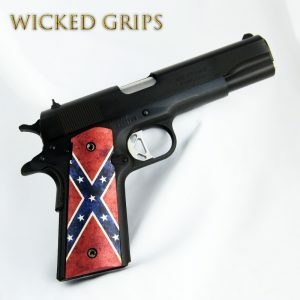 Please click on photo to see product description page before ordering. 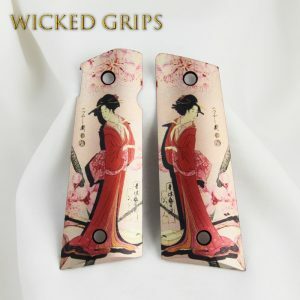 Not sure what frame style you have? 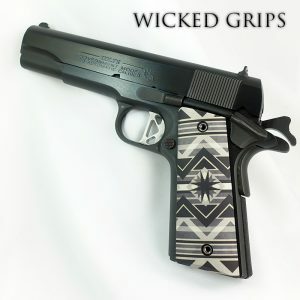 Please watch the video!